Once known by the name "Dovan Chaur", Surkhet is in Karnali Province. It is situated to the west of Kathmandu, the capital city of Nepal. Birendranagar is the administrative headquarter of Surkhet. 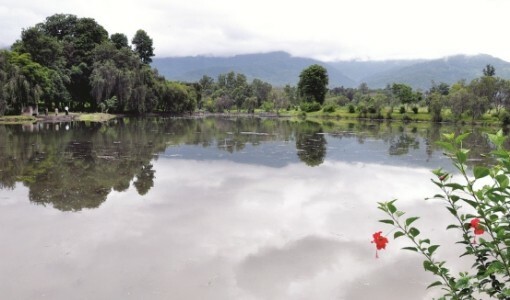 River Bheri, Bulbule Taal, Kakrebihar are some of the prominent attractions of Surkhet. There are several other places holding historical values. It is blessed with magnificent mountains, skiing slope, rivers and gigantic peaks of Himalayas, Surkhet is the gateway to remote districts like Dailekh, Kalikot, Mugu, Jajarkot and Salyan. An amazing place with natural beauty and historical pride, Kakre Bihar is one of the oldest sites listed in the national heritages of Nepal. Shaped like a cucumber, it is located inside a lush forest and contains the remains of an old Buddhist monastery. You can also find several scriptures of Hindu deities and Buddha inscribed in the stones. It is believed that the Pandavs from Mahabharata (a Hindu epic) also lived in Kakre Bihar. You should also visit Bulbule Taal, which translates to Bubbling Lake. It is a small pond with an abundance of fishes. The surprising thing about this lake is the water which emerges from underground in the form of bubbles. Due to continuous bubbling of water the pond never dries out or overflows. An important holy site to visit in Surkhet is Deuti Bajai. Historically, the people belonging to the Raji society used to pray here. Nowadays, many people arrive here and worship. There is a strong belief that worshipping here fulfills wishes. One of the best things about travelling to a place is to try its local street food. Do not miss the most famous Chaat available in the Chaat Street near Ghanta Ghar (Clock Tower). Siddha Paila is located 15 km away from Birendranagar. 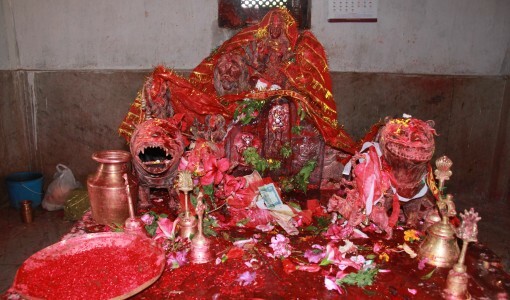 The place is religiously popular and holds a mythological belief. It is believed that there are footprints of Lord Shiva on the rock, which is why the locals built a temple around it for worship. Many ritualistic events are performed in this temple. Located in Mugu District of Nepal, Rara Lake is a must visit destination for nature lovers. With a surface area of 10.8 sq.km, Rara Lake is the largest lake in Nepal. It has pristine waters with scenic surroundings. 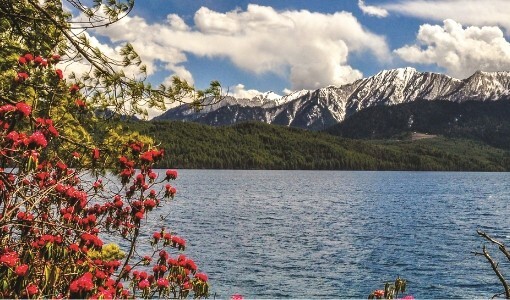 Rara Lake may feel like a dreamland to many. Its iridescent and pristine waters can be compared to the beauty of a goddess. The perfect beauty of the lake and its surroundings in unmatched compared to other destinations of Nepal. If you want to try some adventurous things to do in Surkhet, rafting and paragliding are the best options. Bheri River is one of the perfect location to carry out thrilling aquatic adventures of rafting. Surkhet is a city with people from diverse cultures. The major religion is Hindu and other are Buddhists, Christians and Muslims. The majority of the people are Bahun and Chettris, and there are minorities which are Newar, Magar, Tharu, Sunaar, and Kaami. The most famous song of Surkhet is Deuda song. As there are different groups of people, many different festivals are celebrated in Surkhet. However, the major festivals celebrated here are Dashain and Tihar. Surkhet Airport is one of the hub airports to access the remote sectors of Nepal. Surkhet Airport is also sometimes referred as Birendranagar Airport. 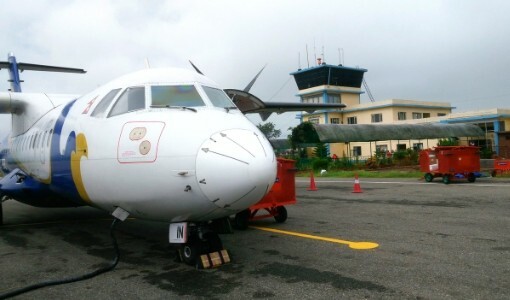 Buddha Air operates daily flights from Surkhet to Kathmandu. The duration of the Surkhet to Kathmandu flight is around 60 minutes. A trip to Surkhet is unlike any other you will experience in Nepal. The glorious mountain views and visits to religious monuments are memories you will cherish.